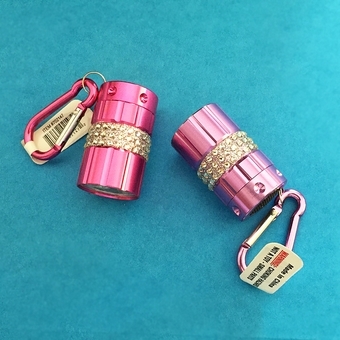 These rascally rhinestone LED lights are as adorable as they look, and the light is VERY BRIGHT, great for getting up in the middle of the night and lighting your way down the hall. These measure almost 2 inches long and 1 inch in diameter, and you have your choice of two beautiful colors. I gave these to my family members as a present, and they were a big hit.